Just a Grain of Sand?!…. 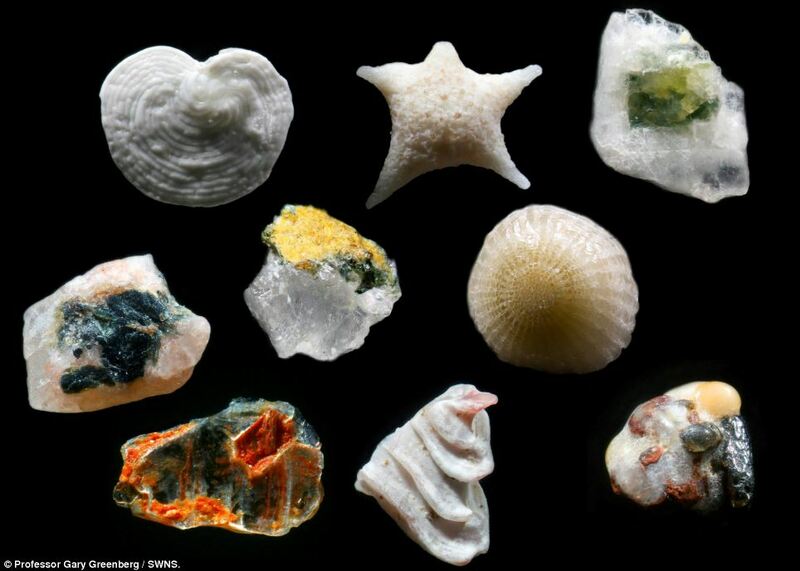 Professor Gary Greenberg who holds a PHD in Biomedical Research from the University College in London recently spent 5 years searching the globe for sand grains to photo. Using tiny accupuncture needles he sought to to find and arrange the most perfect specimens. Once found, he magnified them 250x real life. What did he find?….The photos will amaze you! Each grain of sand….a true work of art. Each grain of sand…an infusion of God’s creative genius. 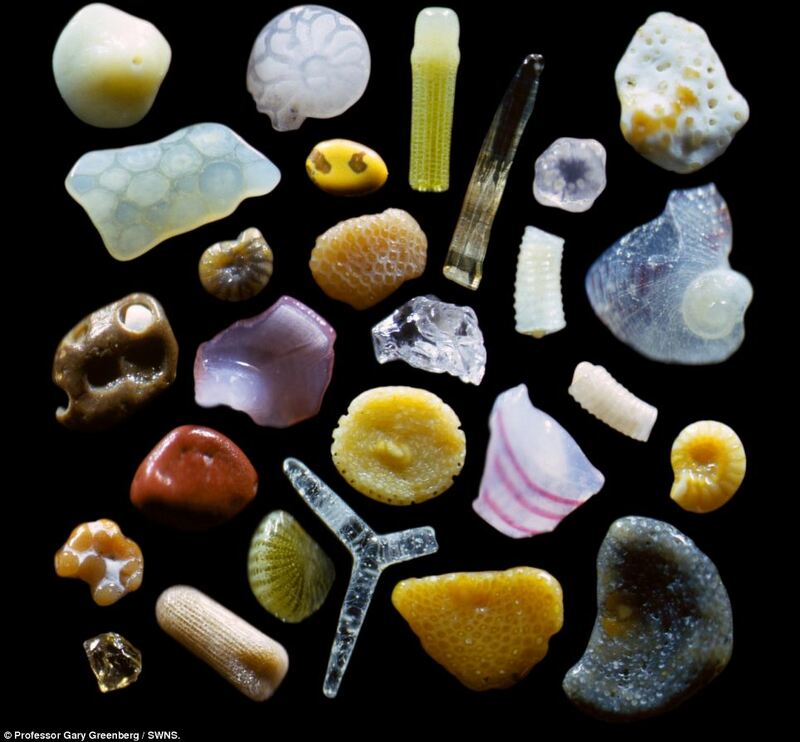 Each grain of sand….unique and original. Heavenly Father, how great and wonderful are your works. If just one grain of sand bespeaks your artistry in ways unsurpassed, how much greater the beauty of the human person. Each a tiny treasure; Each a true work of art; Each an infusion of Your creative genius; Each unique and original. Give me eyes to see beyond the flesh to the magnificent work of art in each person that crosses my path. Magnify my vision to detect the glorious reflection of You in those I meet. Through Christ, Our Lord Amen. 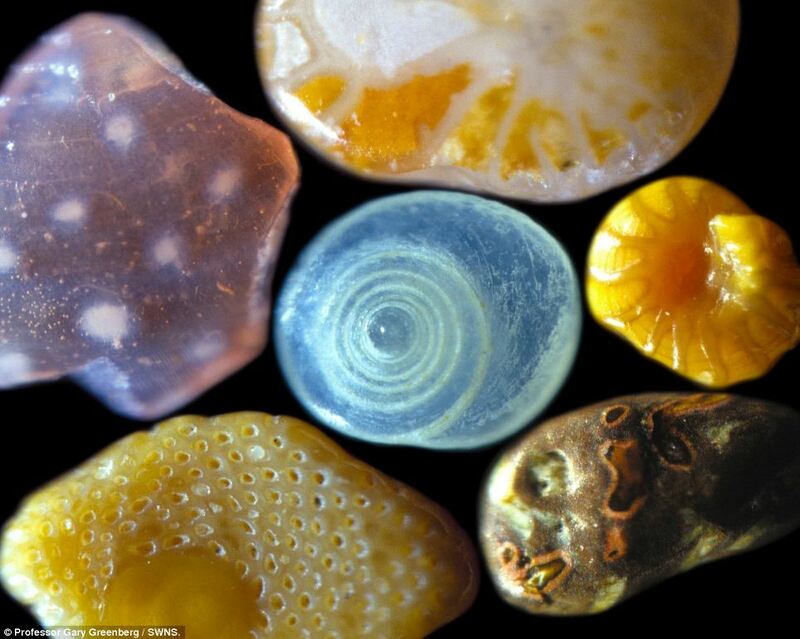 Isn’t it amazing…all in one grain of sand?! Blessings! This is awesome, truly a wonder. Thank you, Gary! Yes TRULY a wonder! And what a gift that this professor had the passion to do something so tedious…but what an unbelievable discovery! Blessings. I think of how in the summer I’m always fussing at my family who bring sand in from the beach…but now…what a change of perspective about something as simple as a grain of sand! Blessings. What a lovely affirmation of our Creator God and Holy Father’s love for us as individuals! Thanks!! Beautiful and another reminder – as are snow flakes – of the greatness of our awesome Creator God. Yes and awesome doesn’t even come close does it? Blessings. Such an expression of God’s AMAZING Love! Such tender care taken in the creation of a tiny grain of sand . . . there is no room to doubt His love for us! Thank you! Yes no room to doubt but alas we do…that’s why we have each other to encourage! Blessings. They are so beautiful . . .like you in Him! 🙂 God bless you and thank you for sharing! Who knew? Yes, who knew? What other beauties have we yet to discover? It’s exciting…I guess that is what heaven will be for…eternally being in awe of ALL the beauty we never saw with our earthly eyes. Blessings. It is amazing isn’t it? Blessings. Amen to God’s wondrous creation! Blessings. wow! incredible! God is awesome…. Yes, incredible and awesome and any other word that seaks of His magnificence! Blessings. So amazing! Then to think of the various forces that created some of these tiny jewels as God shaped our world into what it is today. Yes that opens a whole different area to then lift up our praises doesn’t it Christine? Blessings. Takes the words away doesn’t it? Who would have known? Blessings. And we are promised that the members of God’s family will be as numerous as the grains of sand on the earth! Think how wonderful if we could magnify His love enough so that others could see as clearly the wonders of his love, the way see these magnified grains of sand in these photos above. Oh yes to magnify His love…how wonderful that would be. Although I think each of us does try to do that now…we strive to be a reflection of His glory. Perhaps we all need to adjust our vision. Blessings. Awesome! No words adequately describe it or their Maker. What a wonderful observation of God’s infinite design!! Thanks for sharing. Thank you…and wow! whoever said the beauty’s in the detail was right! What an excellent post. And, thank You, Lord, for creating and sharing with us wonder upon wonder…what a mighty God! This is a reminder of just how AWESOME the Creator, our Heavenly Father, truly is! WOW!! This is just another reminder of just how AWESOME the Creator, Our Heavenly Father, truly is! WOW! !